Nice and really thoughtful as well! Makes for very cool looking art- and conversation too! Those actually look pretty cool. I did not realize you could screw the pucks. We are having the hockey world championship now here in Finland. I love this idea! 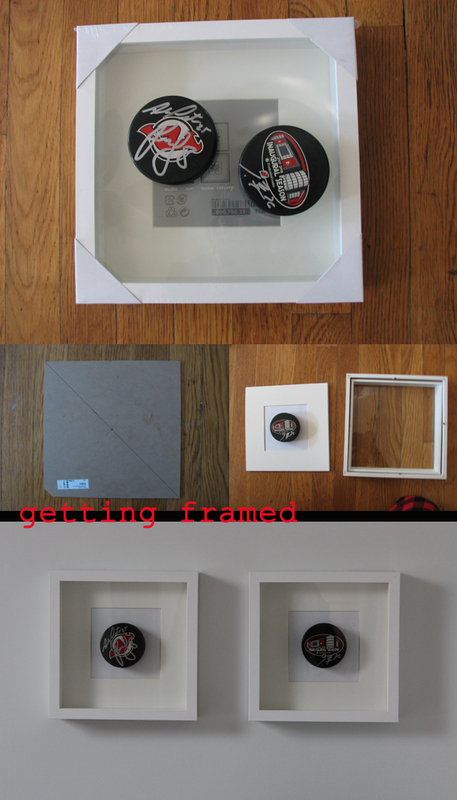 I have been meaning to do this with some of my travel memorabilia (those Ribba frames are awesome)!